My father was an avid photographer. Some of my earliest memories with my father were watching him build a dark room in our house, camping trips experimenting with time lapse photography on mountain streams, and bags upon bags of film ready to be developed. While I love the freedom and incredible image resolution of digital photography, I can not help but be drawn to the grainy black and white images that the fill the 170 plus year history of photography. While I considered pursuing film photography it a number of times, excuses seemed to carry the day. A few days ago I received a message from Ben Sutherland, a good friend of mine, asking if I would be interested in some old film cameras he had but no longer used. I accepted the offer without hesitation. Upon receiving this most generous gift I found 3 cameras and 3 lenses. 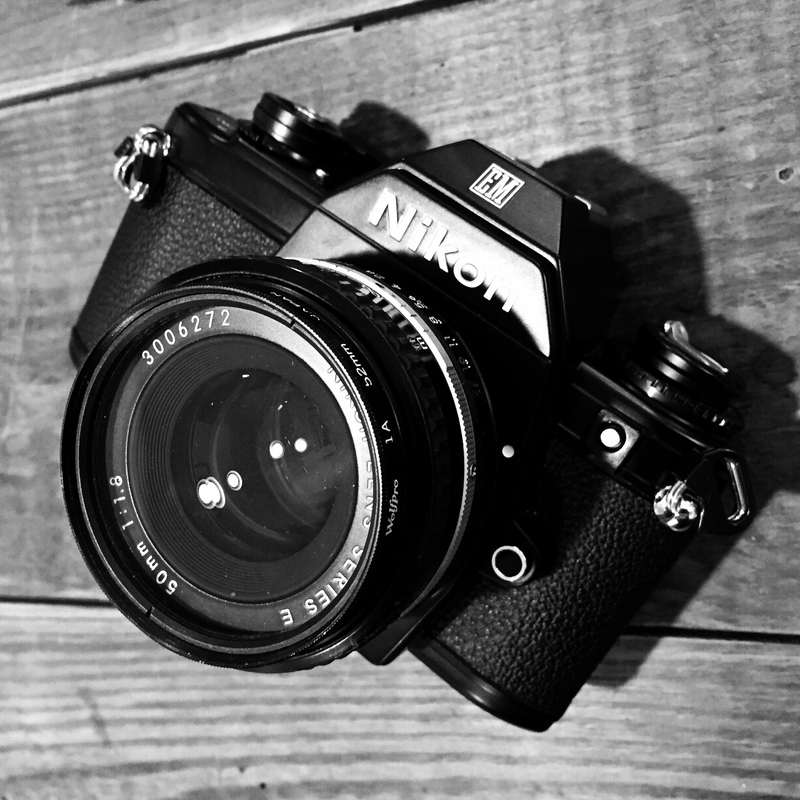 The Nikon EM immediately caught my eye and I decided it would be the equipment for my foray into film photography. I plan on writing a few posts on my experience with film photography. My grandfather was my photography inspiration and mentor. He provided my first 35mm Camera. That is great. Do you recall what kind it was?